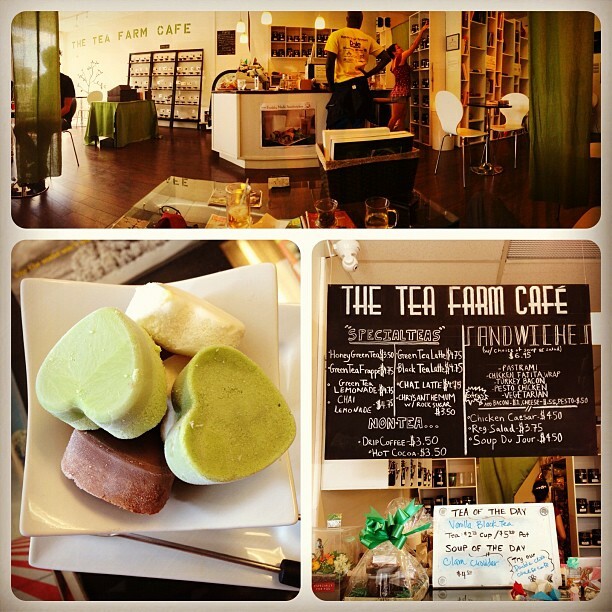 My friend Timka took me to The Tea Farm Café yesterday. It’s a cute little place right off of King Street in Moiliili. The owner, hidden behind the curtain on the left is being interviewed by a Japanese magazine writer for a feature article. The shelves in the back are full with little canisters of every flavor of tea that the café has to offer. The bookcase on the right acts as a trading library. I’m absolutely smitten with this cute, peaceful café. In addition to hot/iced teas, they also offer, salads, sandwiches and ice cream in the shape of little hearts. I was eavesdropping in on the interview taking place on the left. From what I gather, the owner studied accounting at the University of Hawai’i and felt limited to certain jobs with his field of study. So he started a tea café…and through trial and error, he came up with scrumptious tea flavors and a business concept that would separate himself from the other local and commercial coffee shops. On a separate note, I’ve decided to start a weekly #hashtag on Instagram. It’s called #ThriftyThursday! I got tired of #ThrowbackThursday so I decided to show off some of my thrifty finds. 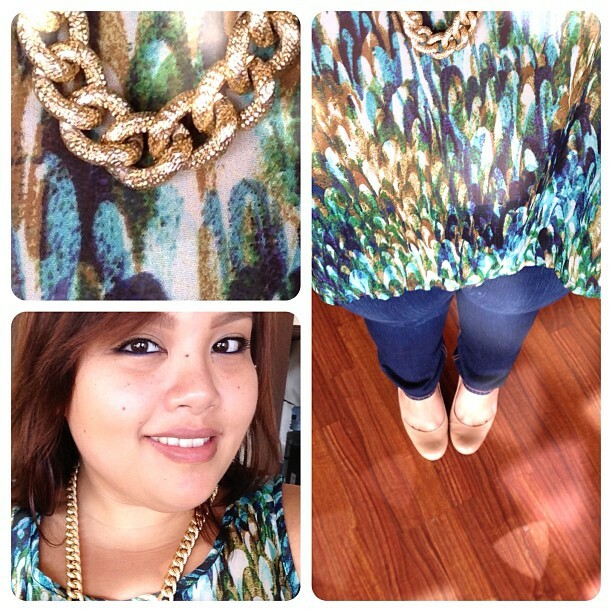 For #ThriftyThursday, I wore a thick gold chain I got off of eBay for $1.20, a top from Ross bought for $4.99 and my jeans from TJ Maxx ($8.90). If you didn’t catch it, I am very boastful of finding cute clothes and accessories for less than $10. 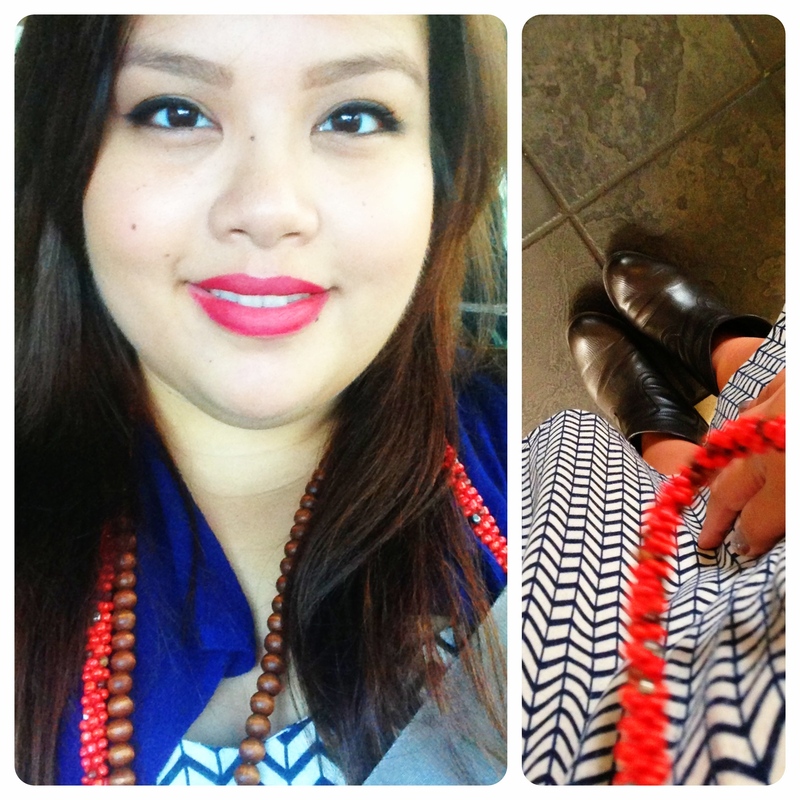 Moving backwards, here’s what I wore on Election Day! Red, white and blue. I’m a bit cheesy when it comes to important days/holidays. Hehe. I work a Mossimo dress from Target ($20), Rocket Dog boots ($45) from Famous Footwear & necklaces I’ve acquired of the last few years.